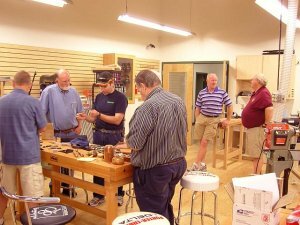 10:00 AM today the Washington Chapter of the IAP met in the Class room of the Seattle Woodcraft store. 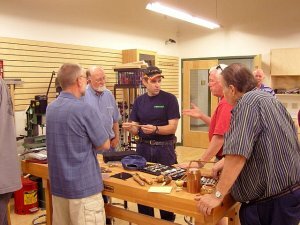 First THANK YOU SEATTLE WOODCRAFT for hosting the event. As we continue to plan and grow our Chapter, I see great things happening. 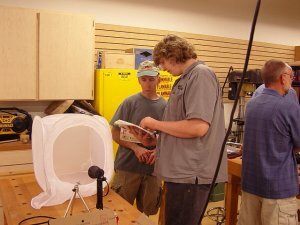 Here are some photos of today's event. 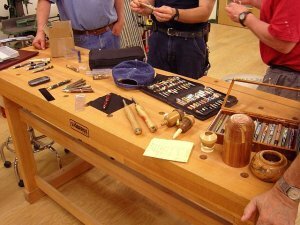 That beaded pen was really amazing. It was a good meeting. ... and we elected Mark to be our leader! Thanks, Mark.